We are trying to raise £185,000 to build a new porch and entrance to the church. This will replace our existing porch which, unfortunately, needs extensive repair. Our new porch / entrance will create a more welcoming environment with extra space, extra storage for both the church and pre-school. It will incorporate toilet facilities for our disabled visitors. The plans have been carefully chosen to blend in and match, as near as possible, the Art-Deco design of the church which was built in the 1930’s. The new entrance and porch will extend into our car parking area but will create much needed space and storage facilities for both users of our hall and church. The present toilet area will be extended to create facilities for our disabled visitors. In order to raise this large sum of money we have an ongoing programme of fund raising events. These include Jumble sales, our annual quiz night, fun days and bazaars. The list goes on and with your support we can achieve our goal. We are also applying to various sources for grants to help raise money for this project. 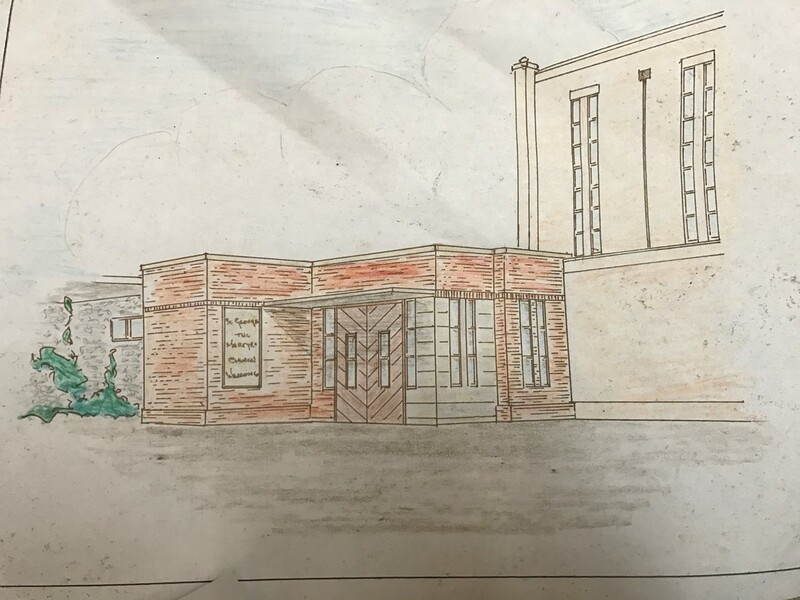 At present we have raised over £105,299 which is excellent, but we need your help to cross the finish line of £185,000 so that we can build an entrance to the church which will not only enhance the church building but offer visitors to Gods house a good, spacious welcome. An artist’s impression of the new porch and entrance shows how the design blends with the original 1930’s architecture. 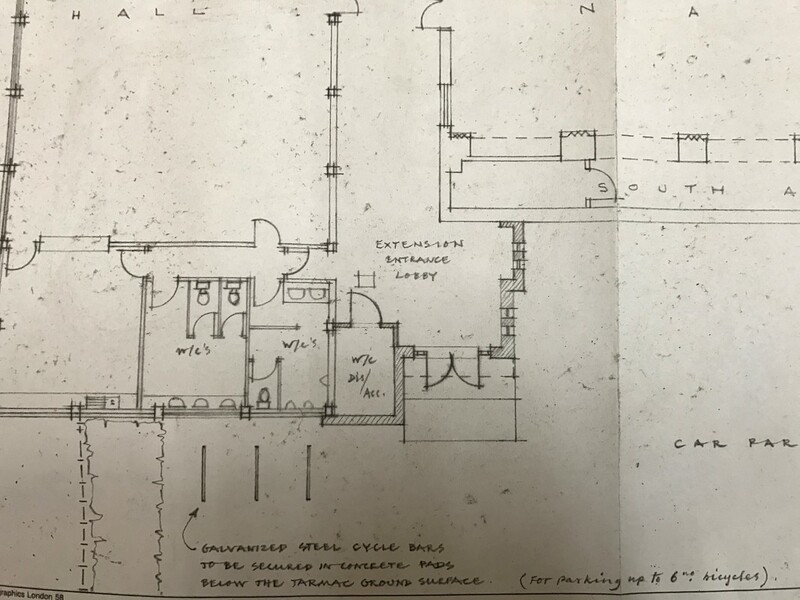 Our architect's plans, show how the new porch will give more space and provide toilet facilities for our disabled visitors.